Since we were out an entire week for SNOW, I had a lot of catching up to do...and I had to let go of some things I normally do because of time. (the OCD inside me hated this) Anyway, we finished some snowman and winter things as well as started our "Animals in Winter" fact book to teach hibernation, migration, and adjustment. I love this! 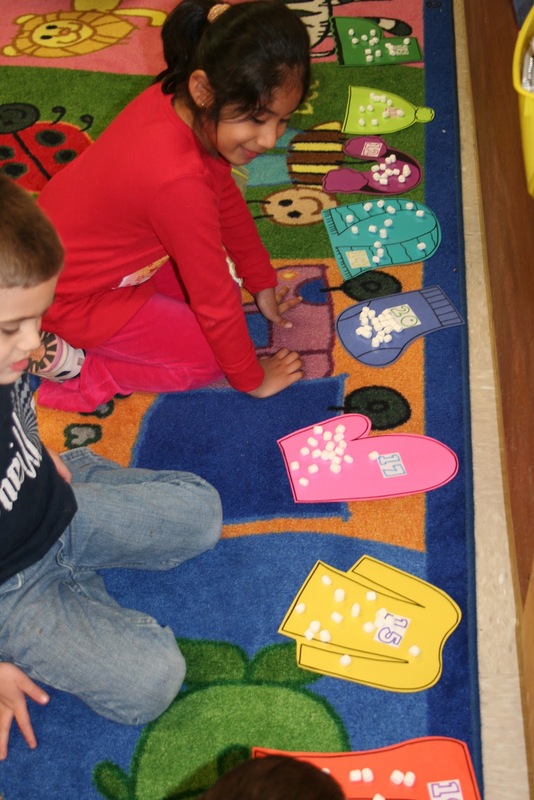 We had our hibernation unit in November! We always do a Pajama Hibernation Party. We lay on the carpet or our cots to do calendar. The kids have a blast. Lots of fun activities. I just love your ideas. You are soo creative. I get so many ideas from your blog. I would love any copies that you would be willing to share. 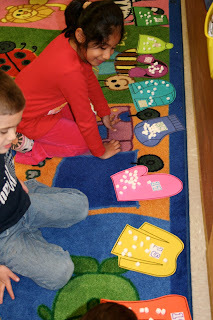 Where do you come up with your math center ideas? They are adorable. Adorable! I especially love the snowman soup. Anonymous, I make a lot of my own math game, but I get a lot from co-workers and as well. Thanks! I love, love, love, your ideas ! 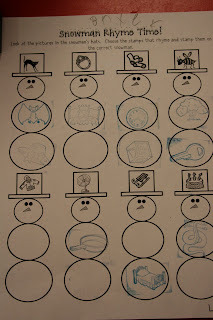 If you don't mind me asking, what is the writing component that goes with snowman soup? Also, the book with the different "winter" pages, was winter the theme and each page related? They wrote things like, 1 carrot nose, 2 mittens, 3 buttons, and so forth. I had a sample for them to copy. 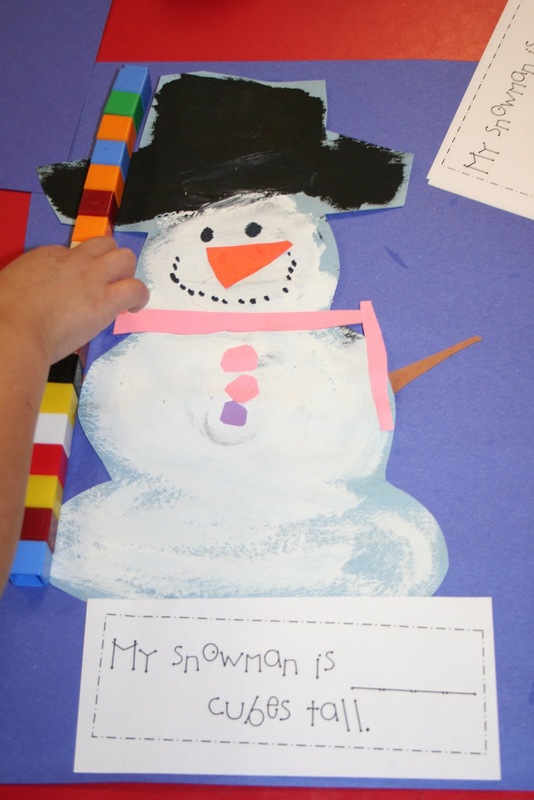 The book was a fact book about winter...It's titled In Winter... and we made 4 pages. I posted pics of the other two pages in my "Mitten Activities" post today. Thanks for your comment! Please may I have a copy of this one, too? 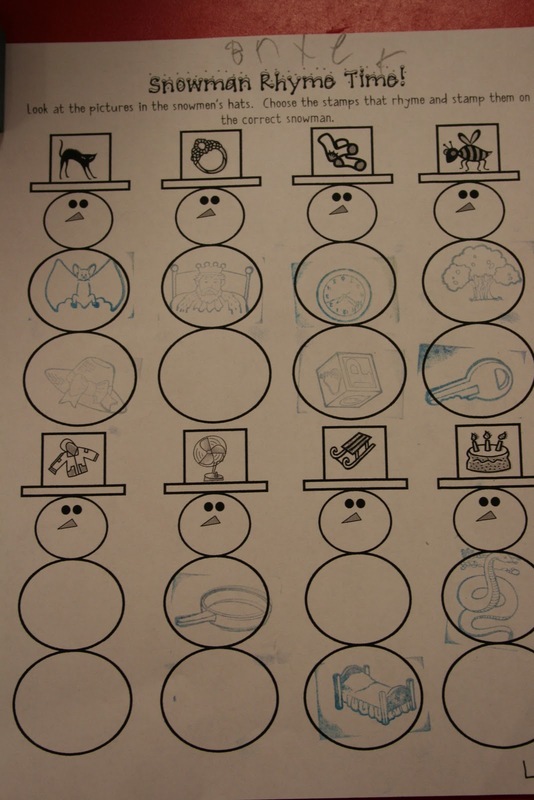 I don't know if you are still mailing out units now that you have a TpT store (which I LOVE) but would it be possible to get the Rhyming Snowmen sheet? I am trying to plan for the week after Christmas Break and it would be perfect!